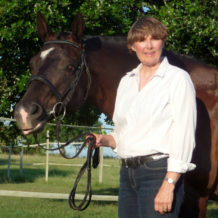 ADS is very excited to offer this Ride-A-Test Clinic with Joan Darnell! This clinic will give riders an opportunity to practice the test(s) of their choice from Intro through Grand Prix, including US Eventing tests. Riders warm up as they would at a show, ride the test for Joan, and then have a mini-lesson to improve elements from the test before riding it again. Both attempts are scored and riders will receive both test sheets after their ride. This clinic is currently open to adult amateur and open riders only. Presented on January 27,2019. Must be a current USDF Member to attend as a rider. ADS membership is $48.00 for an individual. Family plans are available. USDF membership includes Group, Participating, and Education memberships. ADS is considered a Group membership. Note: This clinic is currently available to adult amateur and open riders only (21 years and older). *Grants for the Ride-A-Test Clinic are funded by the USDF National Education Initiative. Please register by sending in the above form to secure your spot and submit payment via PayPal below or mail in check!